I think I can safely say that 99% of the mobile warriors who read this blog would agree with me that wireless carriers are evil. 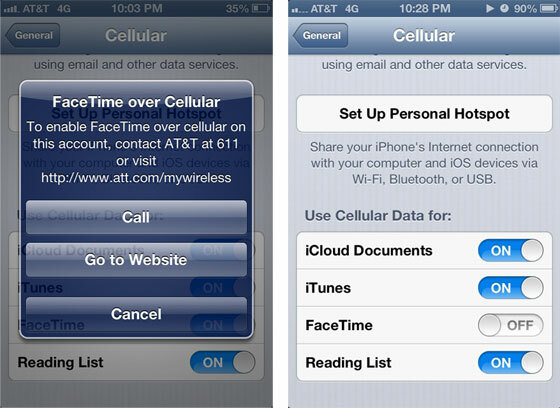 For that 1 out of 100 readers still doesn't think so, get this: AT&T is looking to see if they can profit off Apple's FaceTime communication over cellular data. For Android, Windows, or Blackberry users, you might think what this has to do with you. This is an issue that may not pertain to just Apple's FaceTime. It could eventually affect Skype, Google Hangout, or any other video communication apps. I've been using Skype over 3G for a while now and I love it. Quality varies by a wide spectrum for video calls but certainly VOIP works very well most of the time. So, yeah, if Apple, Google, or Microsoft allows the carriers to reassert control in this matter, we could be in for some very expensive times ahead. Wireless carriers need to know their place in the mobile market. Namely, as dumb pipelines that they are. Zero innovation from these guys and are only operated by greedy execs looking for short-term gains.